How is a persona created? Personas are fictional characters who represent certain target groups. Among other things, they serve as a model for developers who, when relaunching a website, for example, need a good means of predicting the needs, reactions and goals of potential site users. If a company wants to understand which channels should be employed to address its target group, what would kind of approach it should use to reach its customers, or what type of content its marketing message should contain, the creation of fictional people is very helpful. Target groups are defined by their socio-demographic and psychological characteristics as well as by their use of certain media. The more closely your target group can be outlined, in readiness for an online campaign, for example, the lower the risk of scatter losses. The characteristics that define and characterize a target group appear initially in data form. Effective target-group-oriented marketing needs to focus on tangible consumer personalities to assist the development of its marketing concepts. – At the beginning of a project (e.g. an online marketing campaign), personas serve to identify potential audiences and focus a website’s design and content. – If the website is already online, it can then be optimized using personas. Certain expectations or hypotheses about users can be explored via usability testing. Main target group – Five personas are generally enough to create an overview. Proto-Personas can be very useful at the start of a project. Proto-Personas can be reviewed and, where necessary, optimized and updated based on data collected during a project. Further development can be achieved using existing customer data, external demographics or market research findings. The buyer-personas model, with its concept of illustrative personalities, has been specifically created for product marketing purposes. Personas replace abstract target groups and make the development process much more real. They provide teams with a good working model much better suited to the effective development of marketing concepts for a company than abstract market-research data. Personas bring real added value, whether for a website design concept, the planning of an online concept, or simply as a realistic example within a presentation. Depicted on a poster and used in such ways, personas can promote creativity and facilitate communication within a team. The speaker only has to mention the name of the Sophie persona and all participants immediately recall a picture of that target group without having to refer to large amounts of statistical data. The team also develops empathy for its users because, instead of abstract target groups, they envisage virtual (but nevertheless tangible) people. – The target group becomes more lifelike. – The persona concept promotes more creativity in the development process. – The particular needs of a specific group of people within a larger and more generalized group can be clearly identified. 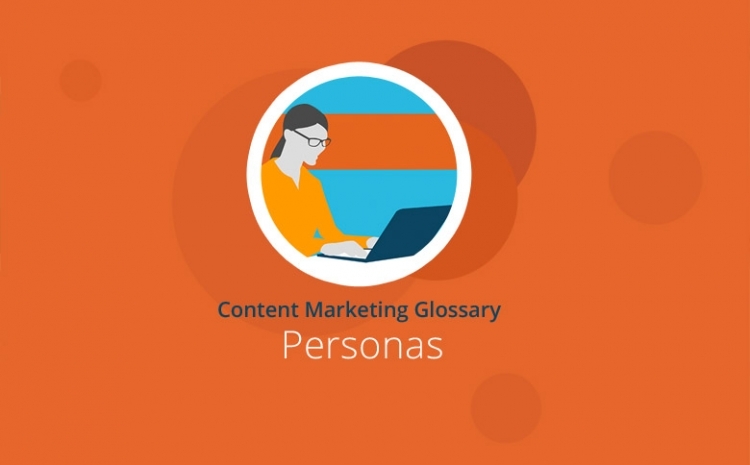 Each persona represents a typical user, and the development of personas serves to broaden a company’s knowledge about the reactions, wishes and intentions of real people. For example, the company website can be refined to become as user-oriented as possible. The Persona concept is also interesting from an SEO perspective because Google and other search engines regard the online behavior of visitors as an indication of a website’s quality. This includes metrics such as a user’s dwell time on a website or the website’s bounce rate. How appealing a particular design will be can be determined very effectively by considering concrete users with a name and face. When creating personas for website development, it’s important to select only those who have a clear link to the design or usability of a website. This procedure helps to create a “Web Activity Cycle,” a cycle which is similar to the AIDA concept (Attention, Interest, Desire, Action). However, the online purchase transaction is merely an intermediate goal. What is more important here is customer satisfaction and a lasting commitment to the company because the fulfilment of these goals ideally leads to further cross- and upselling. – What are the characteristics of typical users of this software? – What are the objectives of these users? And what information do they need? – How can users reach these goals as efficiently as possible? The persona methodology not only helps companies and website operators better understand their target groups, it also promotes product development tailored to customer needs right from the start as well as a customer-oriented online concept. Personas are fictional characters whose development is based on information about the target group. They represent examples of existing or future customers and give your target groups a human face. During project developments (such as a marketing campaign or the relaunch of a website), personas help to keep the real customer in mind. The persona concept is thus an effective means of facilitating target group-oriented marketing.